I want to get the result like in photo. 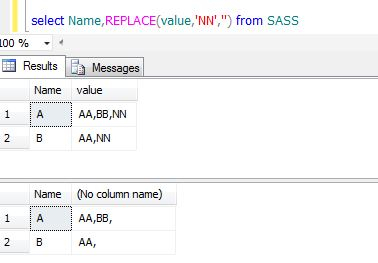 You can use substring function of MS SQL. I think you need to remove last 3 characters (,NN) to get your result. Here is a code. I ordered by Name. 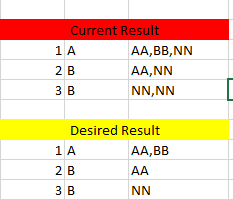 so, there can be another string after NN like AA,NN,BB. I just only want to take out NN. You can use replace function to remove NN character. but cannot use replace because let's say there is only NN like row number 3 and then just leave NN.